The major difference is that while there the message was subtle, the message in this episode is not only pretty much the same thing, the story takes the back seat to it. The episode starts off with Kif breaking up with Amy, because she flirts with bad boys too much. Amy ends up with Bender, there’s a whole ruckus caused by their relationship, over an issue that had already been brought up three seasons ago, they fight to legalize “robosexual Marriage,” and the episode ends with Amy and Bender breaking up because Bender didn’t want to be monogamous. Amy gets back with Kif at the end, thus reestablishing the status quo that I praised Futurama for not really relying on. Overall it was a poorly written episode, with a few jokes, but a terrible story that serves as nothing but a vehicle for the bandwagon political views that Futurama seems to have adopted. I’m not going to complain about them taking a stance for gay marriage, they’re perfectly within their rights to do so. The problem is that this episode was written like a Family Guy episode, where it’s all about the shock value, and the story is tertiary. Fiction can be used to convey a message, but when the message is the important thing, the fiction suffers. The plot is terrible, but what makes it worse is that the characters are twisted to meet the demands of the plot, rather than the plot flowing around the actions of the characters. Heck, the entire Bender/Amy relationship, the entire purpose of this episode, feels horribly awkward because of how out of character it is, especially when Bender actually acts like he really loves her. Of course this all comes to naught as Bender dumps her in true Bender fashion. But that only makes the whole thing feel cheaper. If you’re going to undo an entire episode like that, then you might as well not write the episode at all. The entire thing reeks of hamfisted execution, and badly written social commentary. 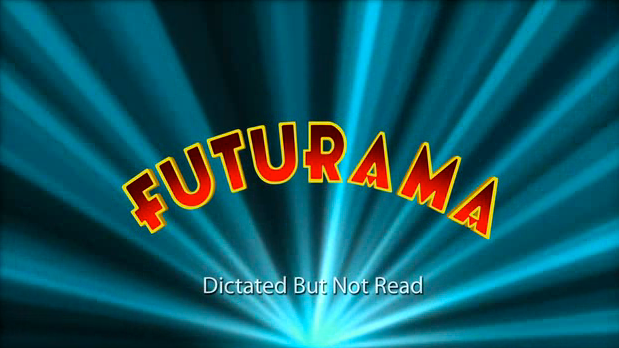 I can only hope that the episodes don’t get any worse than this, and that the creative team remembers what made Futurama superior to it’s contemporaries. So far the characters have been ignored, and their overall personal development hasn’t seen much light beyond the first episode. I can only hope that the next episode is an improvement, but who knows. I’ll be sorely disappointed if the one animated comedy airing on TV that I actually enjoy follows the same path as The Simpsons and Family Guy.